The figure shows the angular-velocity-versus-time graph for a particle moving in a circle. A) How many revolutions does the object make during the first 4.0 s? 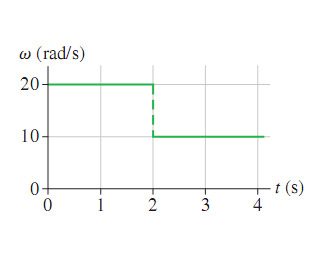 Convert this to revolutions, knowing that 2π radians is equal to 1 revolution.